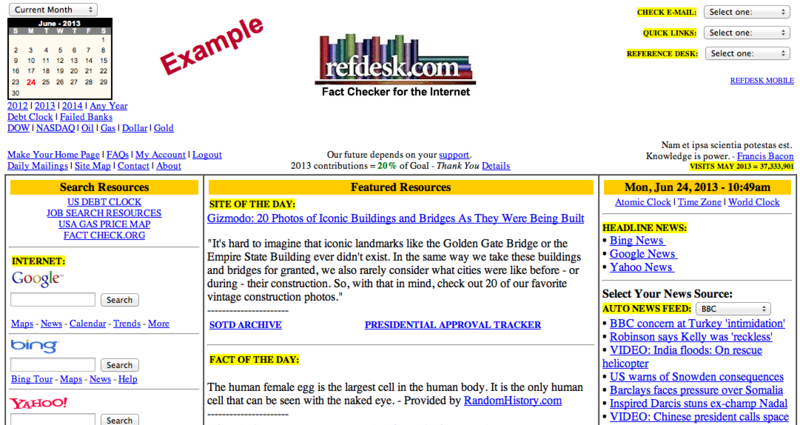 Refdesk with no display ads. Fast. Simple. Ad-Free! Why? We earn income from the ads we display on our site, but we know you would prefer not to see them. We also accept voluntary contributions from generous supporters like you. When you contribute $25 or more, we offer a complimentary subscription for a year of Ad-Free Refdesk as our gift. It loads faster, and is perfect to use for your home page.